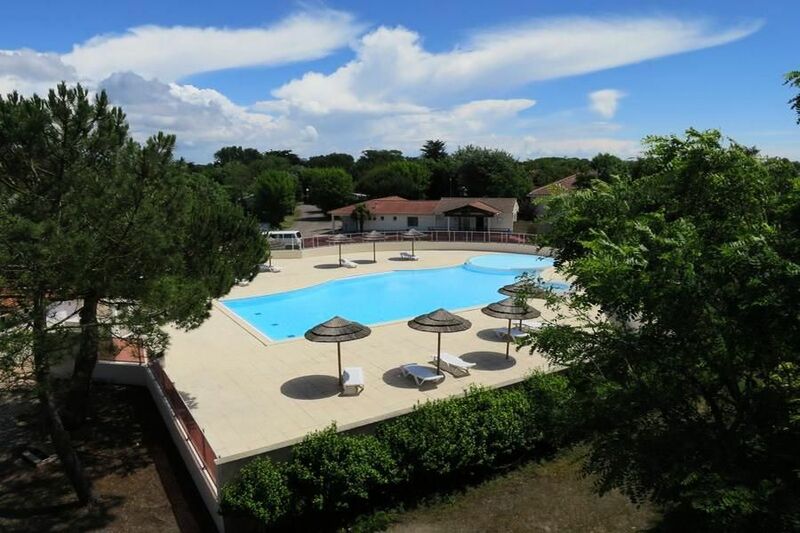 Located between Saint-Jean-de-Monts and Saint-Hilaire-de-Riez, camping Le Both d'Orouet *** welcomes you for family holidays in the heart of the Vendée. Less than 3 km from the Atlantic Ocean and its long sandy beaches, the campsite offers a relaxing and pleasant environment near the many pine forests. You will enjoy the outdoor swimming pool with paddling pool and hot tub open from 4/05 to 15/09 from 10h to 19h45. Many activities will be offered: mini golf, handball, football, fitness, petanque or volleyball. Your children will enjoy the playgrounds present within the campsite and will participate in creative animations supervised by a host during the season. Teens will be able to participate in sports activities every afternoon. The whole family will have the opportunity to participate in the various animated evenings organized to entertain you with the program: karaoke, disco, lotto, quiz, themed meal, country dance. Near the campsite, you will find bike paths that will allow you to cross the beautiful pine forests in the Vendée. Mobile home 4 Rooms 6 Persons of 29m ² composed of a kitchen, 2 bedrooms with 2 single beds each, a bedroom with a double bed, a bathroom with shower, sink and separate toilet. The mobile home includes a kitchen equipped with fridge, freezer, hob 2 burners, microwave, coffee maker, pressure cooker, fruit press. The accommodation also has a spacious terrace with garden furniture. Highway A11 / Paris-Nantes, direction Bordeaux-Nantes Sud. Before highway A83 / Bordeaux, take exit 1, direction La Roche sur Yon by the Machecoul road. Exit 1 is 500m after the La Grassinière rest stop. At the big roundabout, direction Les Sables d'Olonne-Machecoul then Machecoul by the D117. Go to Challans, then to Saint Jean de Monts (15km) by the D753.